Don’t panic if your water pipe burst or water pipe leak turns out to be under your drive, patio or garden. At AB Water Kidderminster Water Leak Plumbers we have our own specialist trench less “No dig ” Mole Tunnelling system which will avoid larger time consuming and costly excavations. We all expect to have fresh, clean water running through our home or business and when you have a sudden loss of pressure or a big jump in your water bill you probably have problems with your mains water feed or a water pipe has burst or is leaking on or under your property and if the leak is on your property you are responsible for it. Plumbing today can involve a maze of intricate water pipes and sometimes these can malfunction. AB Water in kidderminster are specialist water leak plumbers highly skilled in water leak detection and repair. We can work our way through all the water pipes running on or under your driveway, under your home or business or under your garden and patio. We can also carry out the repairs without having to dig huge trenches to get at your pipes we use our ” trench less ” mole digging equipment. At AB Water we have over 30 years experience in the water business, Andy Brown was with Severn Trent for 25 years doing precisely this type of work. We guarantee your satisfaction with our services. 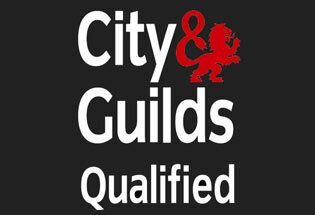 We are local Kidderminster plumbers actually based in Kidderminster. We provide a clear upfront quote with no hidden fees. We are frequently called in by other plumbers to help find a solution to water main bursts and leaks they are working on. A water leak is not necessarily obvious straight away. We all know when we can see water dripping from a pipe in the bathroom or under the kitchen sink and that is an easy indicator of a bad pipe or seal and should be easily fixed by any Kidderminster plumber. However, there are many leaks that occur which are not so easy to see, sometimes you can just experience a big drop of water pressure that you cannot account for or you suddenly get an unusually large water bill. Unless you have had a large number of people staying with you compared to other months, your water bill should stay around the same price each month. A huge jump in your water bill is another good indicator that you a leak is present. As professional Kidderminster water leak plumbers we will be able to trace and detect your water leak and repair it. 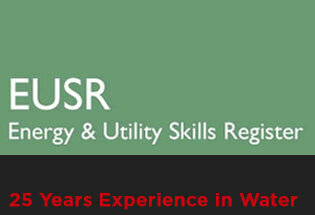 We will check your mains water supply for leaks. If there is no sign of the leak we will still be able to track it down even if it is underground using our specialist detection equipment and ours years of skill and experience. There are a number of different types of leaks. Some of the most common leaks start along plumbing seals. This is where your water pipes are joined together when your plumbing is first installed. These seals can sometimes begin to leak over a long time even if the piping has never been touched or knocked in any way. These types of leaks are usually quite simple for us to get repaired in a very short call out. Water pipes that are underground outdoors can sometimes crack in freezing weather, we are then able to replace those broken pipe sections or bypass them to solve the problem with the minimum of fuss and disruption. For the best water leak plumber kidderminster call AB Water. If your property is more than 30 years old there is always the possibility of a more serious water pipe leak occurring in your mains water pipe. These can sometimes crack from age and wear or if you have had home improvements carried out that have disturbed the ground. 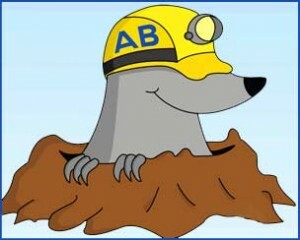 Here at AB Water your experienced water leak plumbers Kidderminster we will find the most difficult to trace water leaks and we will repair them using all the latest underground mole system and plumbing techniques. Don’t put off calling us when you think you only have a small leak. We know that the longer the water is leaking the more chance that a larger crack in your pipes can occur. Leaks that are beneath your home or business property in Kidderminster are very dangerous to ignore. Underground leaks even if it is a small amount to begin with can start to saturate the soil and your home’s foundations could even be affected. This type of slow leak if ignored can end up creating even more damage to your home. Do remember if the water leak is on your property, since 2014 you are now responsible for getting it repaired. Call the professional Water Leak Plumbers Kidderminster AB Water and let us find the most cost effective and economical solution to getting your water leak repaired quickly and efficiently. We will be happy to come out and give you a quote to get your water leak repaired quickly. We want your home, business or commercial property to be safe, functional and free from any water leaks. We are also available for emergencies 24 hours a day 7 days a week. 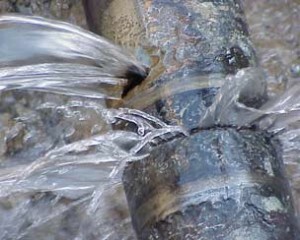 Call AB Water your LOCAL water leak plumber Kidderminster.